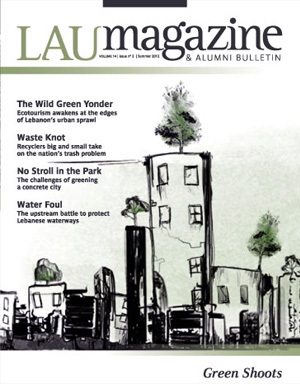 “Blueprint for Success” is a 2012 alumni profile of Elie Abs in the LAU Magazine and Alumni Bulletin. Elie Abs is Accent DG’s cofounder and principle architect. He graduated from the Lebanese American University (LAU) in 1997. Abs then completed a master’s degree at the Architectural Association School of Architecture in London in 2000, and went on to teach at LAU in 2002.